Go pro! Put that rackmounted gear where it belongs and turn your room with studio gear in it into a real studio space! How? Start with the ER-20 economy rack from Raxxess! This standalone rack cabinet houses up to 20U of gear, and its low-key, classy looks make it perfect for any studio room. The ER-20 comes complete with a heavy-duty rack rail and all the assembly hardware you'll need. 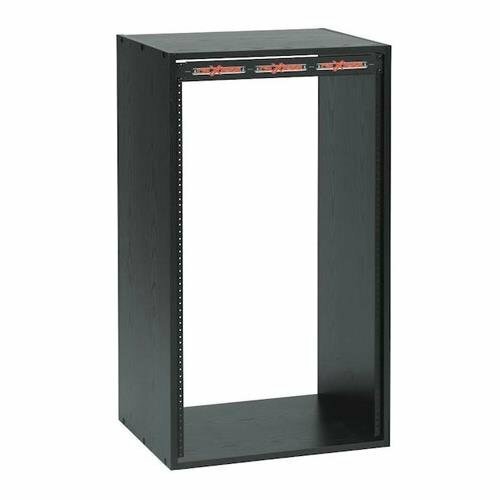 This sturdy rack cabinet is very affordable too. Rackmount your studio gear in the ER-20 and get it together!